From organic to industrial, cattle to grain, milking to market, from family to corporate from the hills to the lowlands, from silage to slaughter, from cropping to breeding. We’re with you. As agriculture specialists, we understand the challenges that farming presents. We have a dedicated team of agricultural specialists, many of whom have an agricultural background. We act for around 2,000 farming businesses and our clients like our no nonsense, straight talking approach. They also like the fact that we have a detailed knowledge of agriculture and the unique challenges that working in farming presents. We know where to look for any available tax savings, and how farming businesses can plan for their financial futures in a tax effective way. 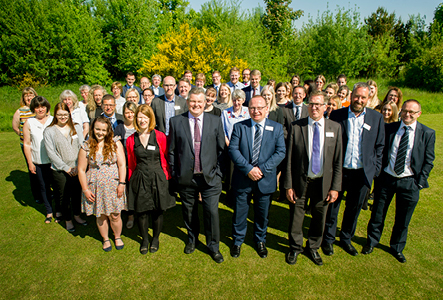 The strength of the Armstrong Watson agricultural team lies in our people across all our offices in Scotland, Northumberland, Cumbria, and Yorkshire. Our specialism in preparing accounts and providing specialist advice on strategic and tax issues comes from having staff that spend most or all of their time working for farmers and landowners. The farming industry is facing a unique set of challenges as a result of Brexit and volatile commodity prices. Our agricultural team, many of whom hail from farming families, are ideally placed to help our clients meet these challenges. Our expertise and office locations make us the ideal partner to help dairy farmers meet the challenges of this ever changing environment. Many producers have made capital investments in recent years to upgrade and expand their operations. Detailed forward planning can help minimise tax burdens and we’re here to help. With significant up front investment required, we can help you to ensure projects are tax efficient, keeping money within the business. We understand this complex market and can help plan for fluctuating profits and investment requirements. We’ve looked after many of our clients for generations and understand that Environmental Schemes, especially in the more marginal areas, are becoming increasingly important in underpinning the profitability of livestock businesses. Dramatic volatility in the price of grain and arable crops coupled with ever rising input costs, making budgeting and planning for arable farms very difficult. With the increased volatility in world grain prices and the levels of capital machinery required, detailed forward planning is always essential to minimise future tax liabilities. We have experience in advising clients on a number of wind, anaerobic digestion and water projects ranging in size from small community projects to large individual investments. We can help maximise tax relief, advise on investment, prepare business plans to help finance your projects and assess their viability, and advise on profitability; from the supply of feedstock to renewables projects. Our work for those who have diversified into the Garden Centre market takes into account some key areas of accountancy and planning that can help save you money. Douglas has been pro-active and given me advice on risks to my business. I value the personal contact that I have with the Accountant who is responsible for supervising my preparation of my annual accounts. Armstrong Watson is obviously a very professional business with a modern approach including regular circulation of its Agricultural publication, but it has also managed to retain its friendly approach. I am a Sole Trader supplying the agricultural/landscaping industry and was previously in partnership with my late father and we both were clients of Armstrong Watson. It was always my father's moto to hire the best professional financial and accountancy advice you can get and Armstrong Watson deliver this. I am not from the area and logistically it would be fair to say it may be easier to move to an accountant nearby, but I have been with Armstrong Watson all my business life and I’m confident I will remain a client as they provide such an outstanding service which is second to none. Most of my dealings are with Douglas Murray, although I also deal with Ross Campbell. I cannot speak highly enough of the entire team as they are all experts in their field and always respond to any enquiry I may have promptly, clearly and concisely. They are all extremely approachable and I have a fantastic professional relationship especially with Douglas, whom I have known and dealt with for many years. Nothing is ever too much trouble for any member of staff and I always feel at ease when posing questions/queries to them. Overall, they provide me with a first-class service which includes all my accountancy, financial, tax and pension affairs and I have complete faith and trust in the information and service they continue to provide me with. So, if you are looking for a fantastic company lo look after your financial affairs look no further than Armstrong Watson. They will look after you very well. Find out what grants are currently available to Farmer Network members, excluding the Basic Payment Scheme. Find out what changes have been made to the Countryside Stewardship Scheme for 2018. Find out how your farming business compares against statistics extracted from our third annual Family Business Survey, specifically relating to farming and agricultural businesses. Agri Matters is our FREE quarterly magazine packed full of useful and topical articles on financial matters affecting you.